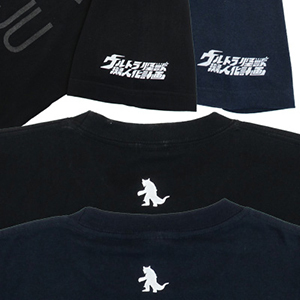 Tsuburaya and Rub-Lab have collaborated to produce a new exclusive T-shirt as part of the ongoing Ultra Monster Personification Project. Following the previous shirt based on Zetton(the final monster of the Ultraman TV series), this design sees a humanoid version of classic monster Gomora. The character design was made by Nitro+ artist, minoa. The Ultra Monster Personification Project has also produced a PVC figure of a humanoid female version of Ultraseven monster, Eleking. The new shirt is available for 2,800 yen($27) exclusively from Rub Lab.